Much attention was on the House Judiciary Committee’s Wednesday hearing on House Bill 75, legislation that would create gun violence protective orders, allowing immediate family and law enforcement officers to ask a judge to temporarily take away firearms from people who are at immediate risk of harming others or themselves. The hearing rightly drew plenty of attention as it’s the Legislature’s only real piece of pro-gun control legislation in the wake of the Parkland school shooting that left 17 students and teachers dead. (Though this session also features plenty of bills aimed at loosening laws around guns, including bills that would lower the age of concealed carry from 21 to 18 and would allow teachers to carry guns). Rep. Geran Tarr introduced the bill at the start of the 2017 session, long before the Parkland, the Las Vegas shooting that killed 58 or the Texas airport shooting committed by Alaskan Esteban Santiago that killed five. It’s gained renewed traction this year in the wake of the Parkland shooting in large part thanks to outspoken students who survived the shooting. Many Alaska high school students either attended the meeting on Wednesday or called in to offer their support for the bill, calling for stronger gun control. But for as much as Wednesday’s hearing focused on preventing mass shootings, many testifiers said the bill would make a significant difference for Alaska’s leading form of gun deaths: suicide. Alaska holds the distinction of the highest per capita rate of gun deaths in the country. At 22.3 gun deaths per 100,0000, Alaska is nearly double the national rate with most of those coming from suicide. 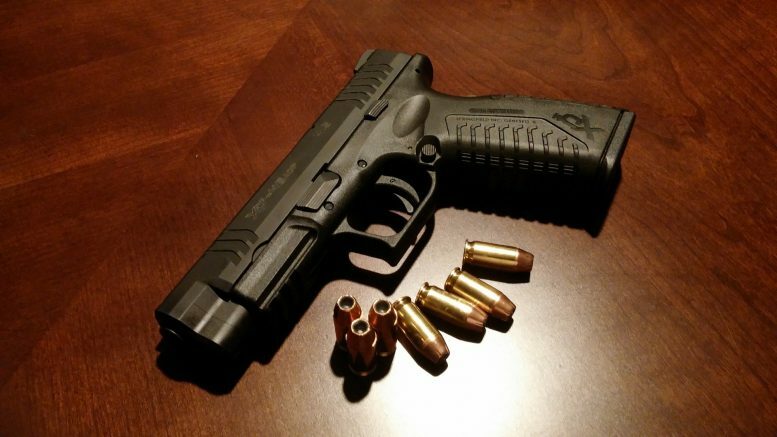 The state studied firearm injuries and deaths between 2009 and 2015. During that time there were 1,488 firearm injuries with 1,000 of those being fatal. It found that 750 of those deaths were by suicide while the remaining were due to homicide (152), unintentional injury (36), legal intervention (32) or undetermined (30). The report also notes that of the 902 suicide or homicide incidents nearly half were known to have recently had a problem with a family member or a partner. The connection between the legislation and suicide is personal to Tarr. She lost her brother to suicide. Suicide should be personal to the Legislature, too. In 2016, a woman committed suicide by gunshot across the street from the Alaska Legislature, at the entrance of the Juneau Court House. As police cleaned up the crime scene, a state employee hustled out to the group of reporters (your TMS editor among them) to hand out information on suicide prevention that talked about recognizing the warning signs and advice to help. Alaska’s suicide prevention hotline is 1-877-266-HELP. The committee seemed generally interested in the legislation, and some moderate Republicans even offered suggestions to improve it. Rep. Chuck Kopp, R-Anchorage, wondered if there were ways to strengthen the legislation by allowing non-married partners to seek the protective order–an issue closely tied to domestic violence–and whether or not mental health screenings may also be appropriate. Still, the legislation wasn’t without its skeptics. Rep. Gabrielle LeDoux, R-Anchorage, said the bill might discourage people from seeking psychiatric help at all if it meant they’d lose their guns. Rep. Lora Reinbold, an Eagle River Republican who quizzed students on their support for metal detectors and arming teachers, repeatedly noted that other things like cars, pills and bare hands could be used to commit violence, as well. The legislation is expected to be taken up sometime next week for additional discussion and further public testimony. Be the first to comment on "Proposed gun violence bill is as much about preventing suicides as it is about mass shootings"